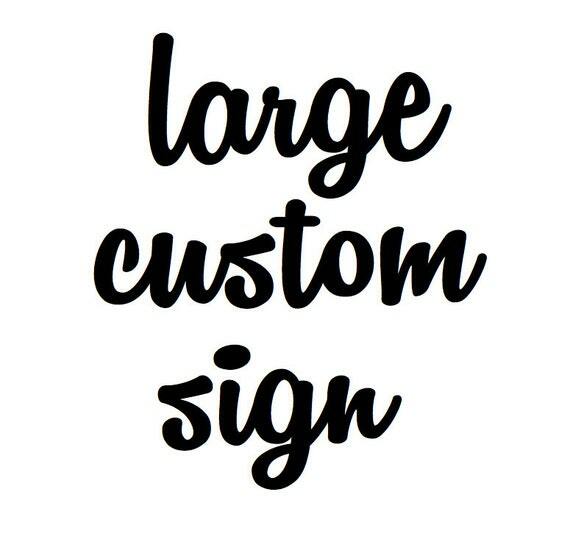 Want to test a couple of custom words for use in our large custom sign series? We've developed a simple sign generator to help you visualize what your sign may look like. In production pieces, we connect letters by hand as we've done with the letters o and m to the left. If you'd like a custom preview showing your room or with modified / connected fonts, please let me know. For best results use lower case letters. Refresh page to try again. Save it with a screenshot.